BARN NAME Finley. 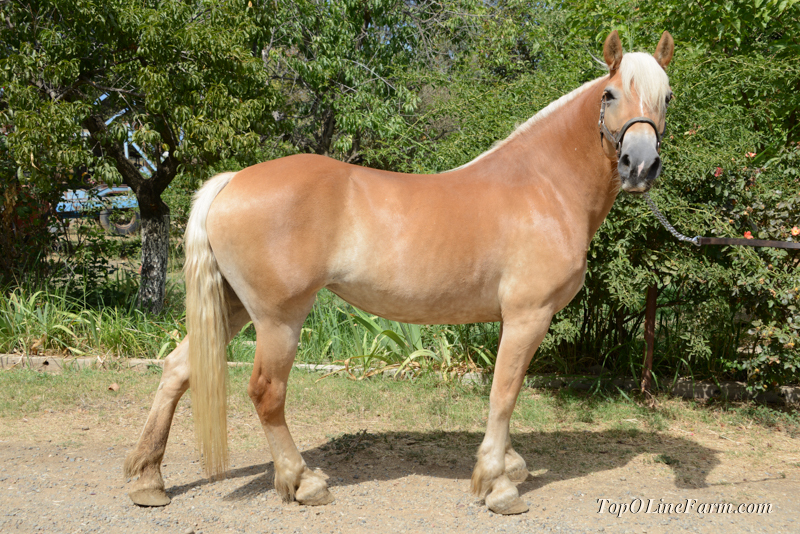 She is sired by the two-time National Champion, Aristique TOF http://www.wildhavenfarm.com/TiqueShows.htm Aristique is sired by the gold classified and former National Champion, Aristocrat TOF. Finley's dam is sired by Austrian import and former National Champion, Nobleman of Tudor Oaks. Midas Touch NTF, Strumer and Afghan II round out the pedigree. NO WONDER she is a Silver Classified mare! About 15H. Drafty and flashy. Tall and well conformed. 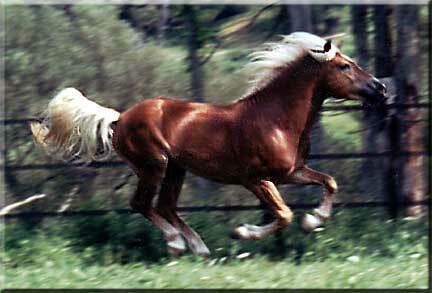 This mare would cross well on most any stallion. trail obstacles and groundwork. Riding walk trot canter nicely. Excellent on trail. good for advanced beginner or better. This filly is nothing short of fantastic. From her first day, she distinguished herself as something special. She has lovely color, head and expression, and conformation. 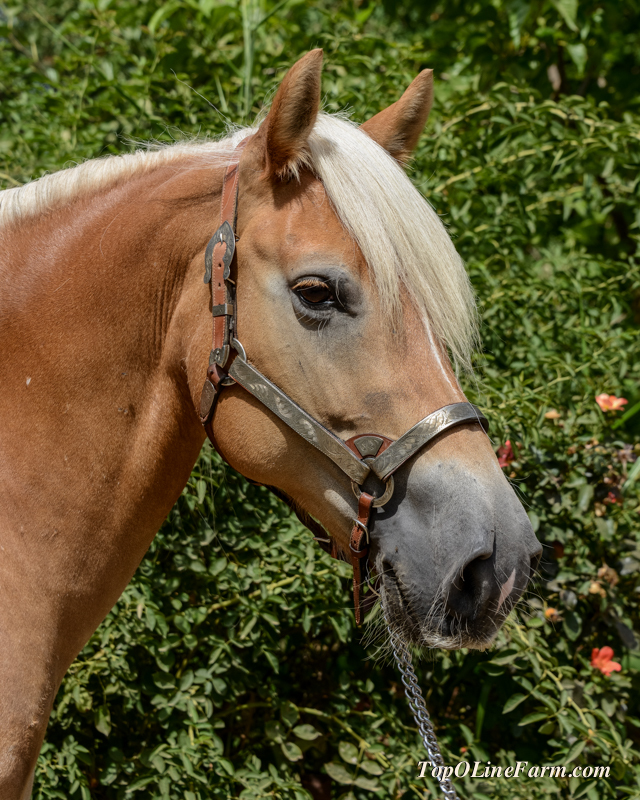 A very snappy trot - fantastic for draft halter, driving and even energenic and light enough to make her a good prospect for performance - dressage and jumping. She is very sweet and has excellent manners. 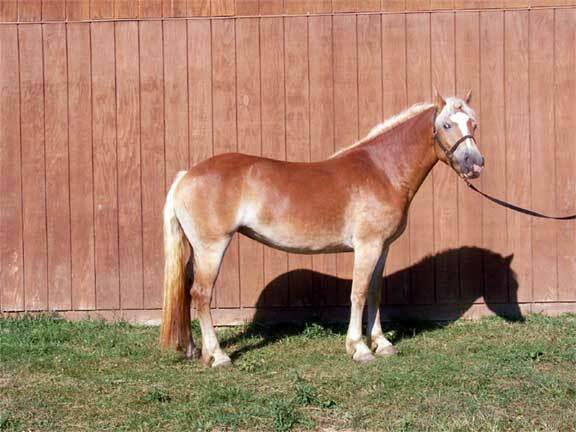 Her dam is a lovely mare - just stands out in any crowd. 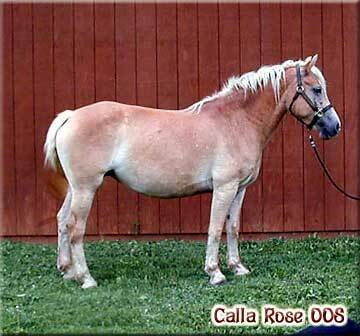 Calla Rose gave Chaos her lovely head and strong topline. Chaos's maternal granddam was bred by the long respected Chimpmunk Hill Farm. 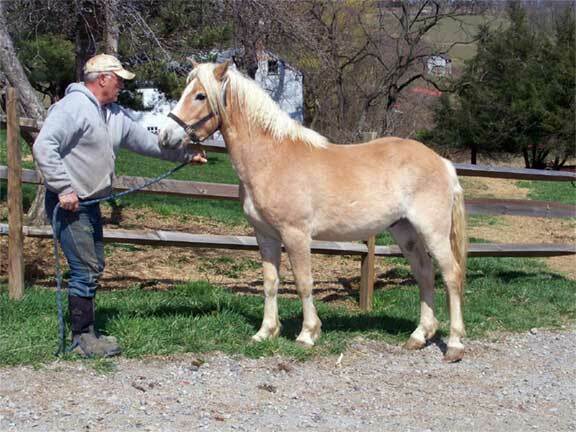 Her maternal grandsire, Alladdin Price, also made his mark in the Haflinger breed. 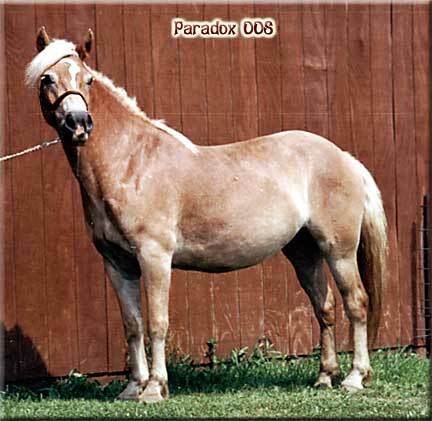 He sired several successful show horses: including Confetti OOS, second as a yearling at the National show and grand mare at the Washington Co. Fair, Paradox OOS, 9th as a yearling at the National show and 1/2 of a 3X first placed in get of sire. 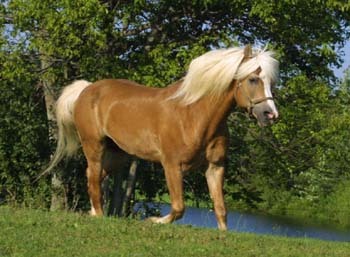 Alladdin Prince's sire was the 1994 light National Champion stallion. 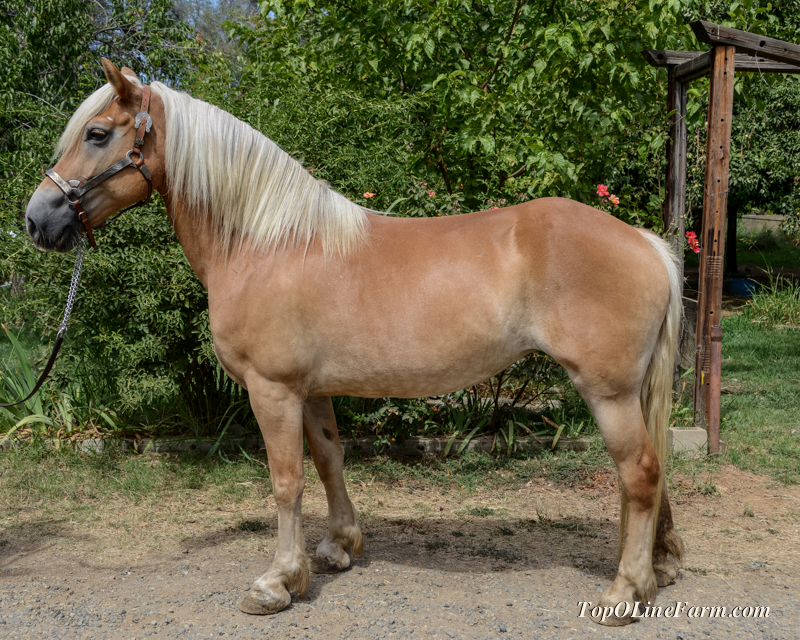 Chaos's sire is a champion himself with famous ancestors: his sire, Michi Wulf, was a futurity winner and has gone on to produces many winners himself (including Mighty Lynn). 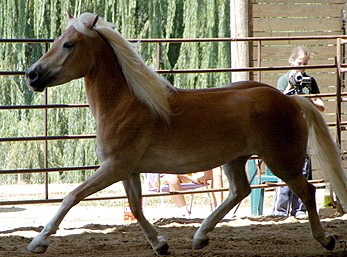 Michi Wulf's dam, Nancy, is one of the first great performances Haflingers. 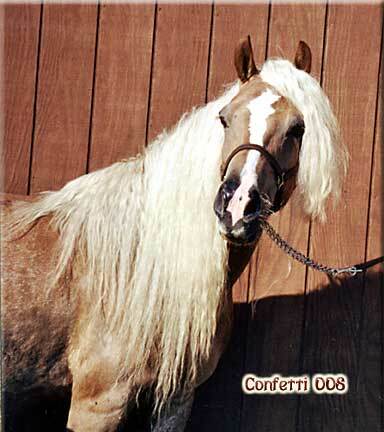 Michi Wulf's sire also produced the first light National Champion stallions: Magenta Wulf. Mighty Lynn's dam is by one of the most important stallions ever imported to the U.S. Midas Touch NTF, by the famous "Midas," produced many of the greatest U.S. show horses. Mighty Lynn's full sister was a high seller at a fall AHR sale, selling for $10,000. 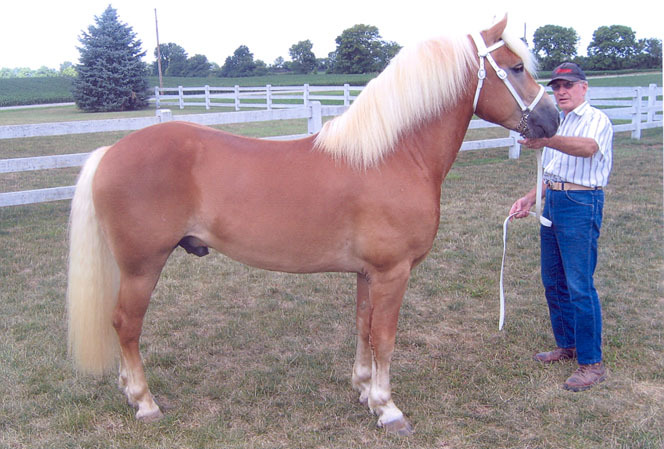 Mighty Lynn himself has lived up to his pedigree: getting second as a yearling and 4th as a 2yr old at the National show, Grand Champion stallion as a two year od at the PHSO show, 2nd and Reserve junior as a yearling and first as a 3yr old at the HBO show. Nunavik GF these would all be 1/2 siblings to Paradigm. Big mare 15 hands 1/2". 1250#, calm and gentle demeanor. 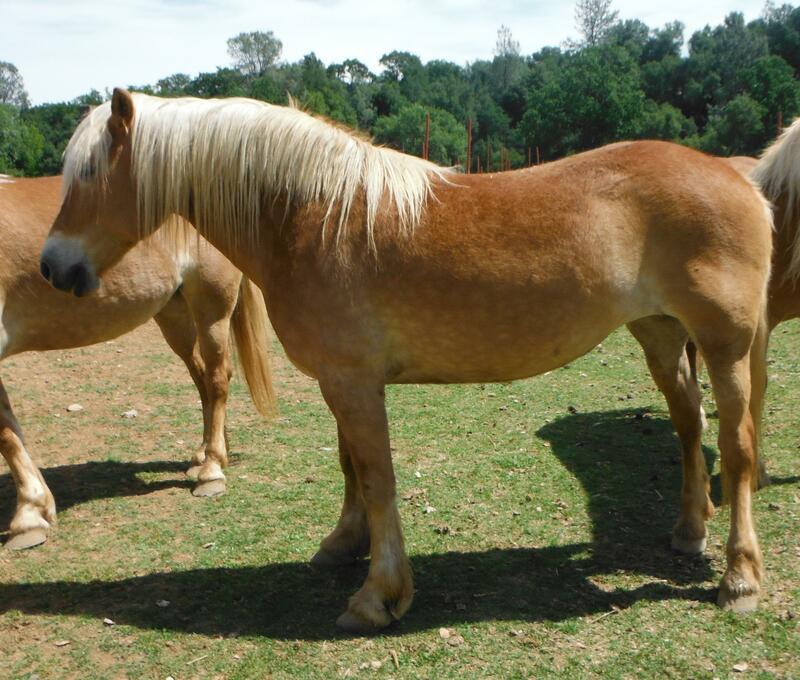 She likes people and has nice conformation and will produce fantastic foals! 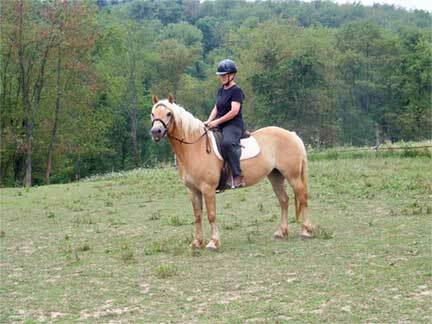 rides walk, trot, canter and has been out on trail. Currently doing small Endurance rides. 10 years old. About 14.2H. Very sweet. No training besides basic halter, hooves etc. 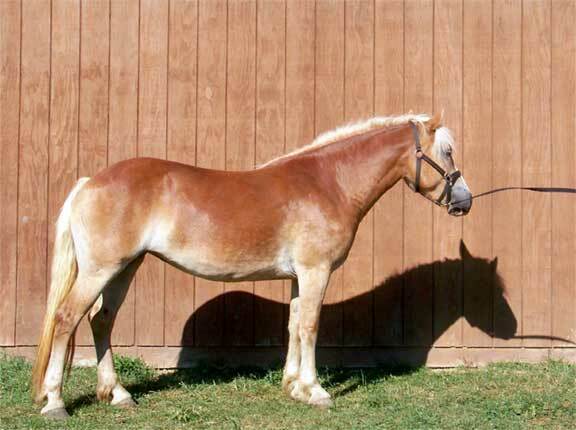 Shown as a weanling. Really eye catching head and color. 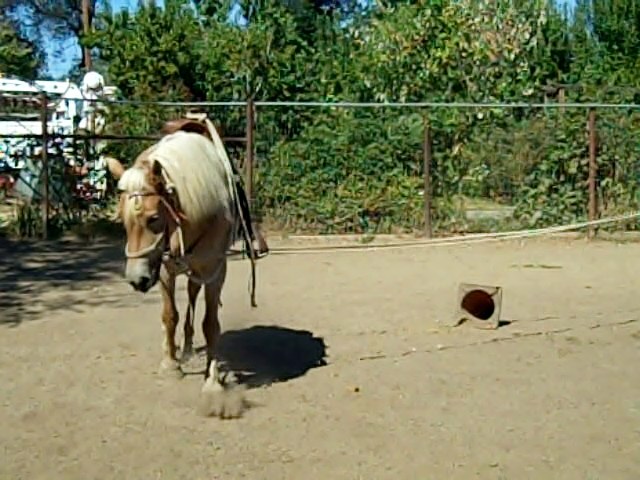 Now working under saddle for lunging, tarps, soccer, trail obstacles and groundwork. 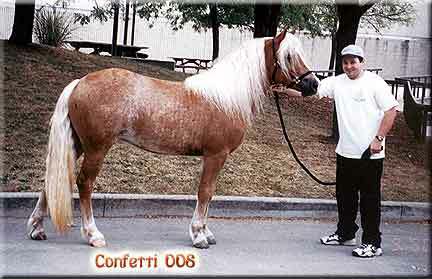 Confetti is eye catching - a breath taking head and a mane and tail to put most stallions to shame. She is very balanced and feminine. 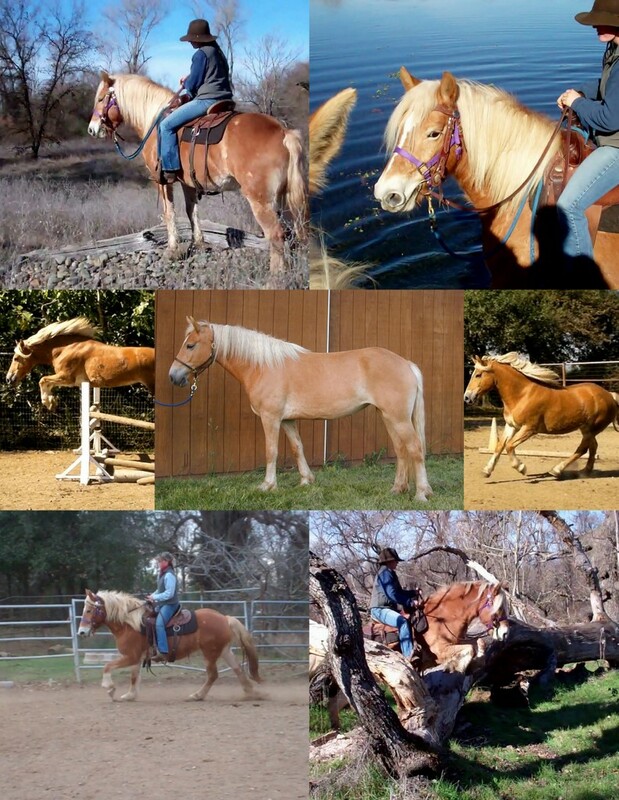 All these traits along with excellent conformation and strong movement led her to be one of our most shown horses. 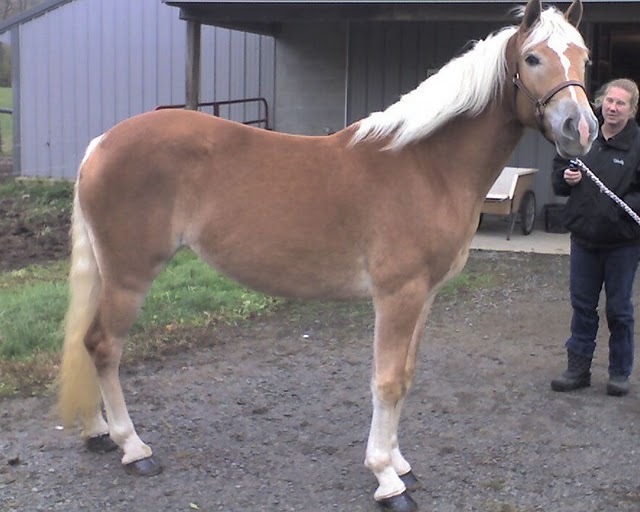 She got her start as a yearling, getting second at the National show (first ended up being the now super mare, Rivella TOF). She got seventh as a two year old. At three she got fifth in three and older draft mare at the PHSO, and she got first and grand champion mare at the Washington Co. Fair. 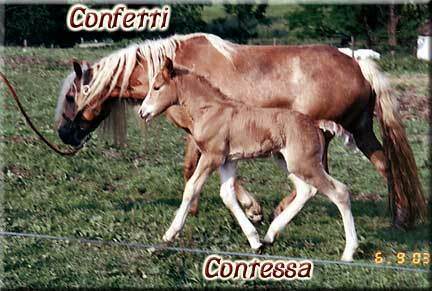 Confetti's mother, Christee, was the first haflinger in the state of Pennsylvania and the first Stardrift daughter. She, like her daughter, was very striking and often had offers made on her by other breeders. 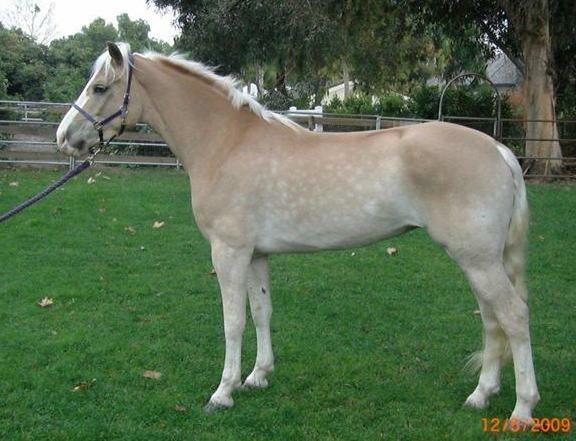 This mare is the perfect youth or small adult dressage horse. She jumps, rides, drives and is neat and clean. not frustrate themselves. 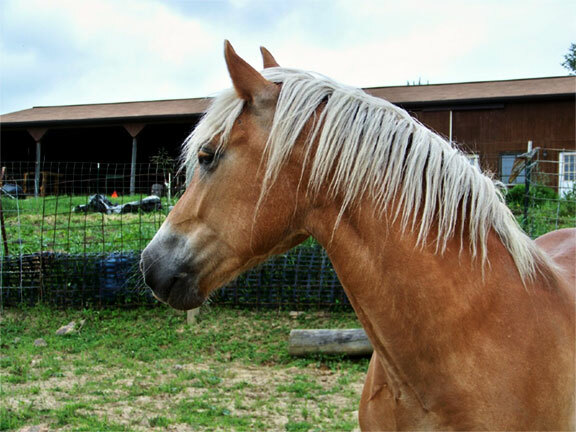 She has many months of professional training and WILL take you to the winners circle. 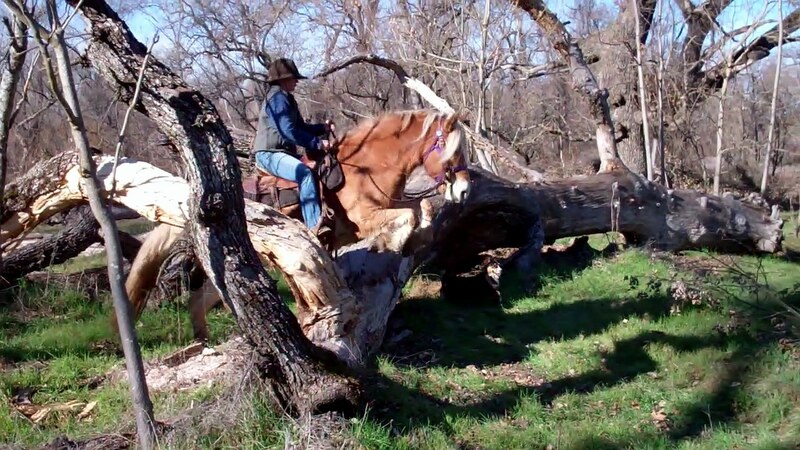 but she takes up leg on any adult rider and is easy to get on and off when riding trail. 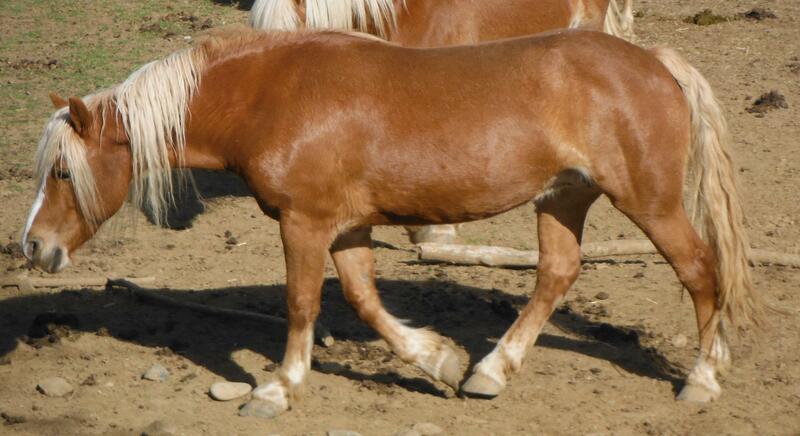 Angel is a big mare and a DARK red coloration. 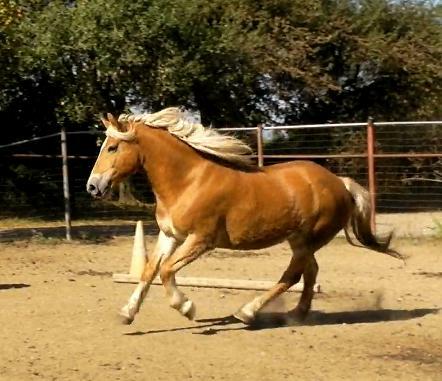 She stands 15.1+ hands and is very refined with a lovely long low stride. Nice knee and hock flexion and smooth to ride. Angel has been taught to drive double and we are working with her so she is comfortable driving single. 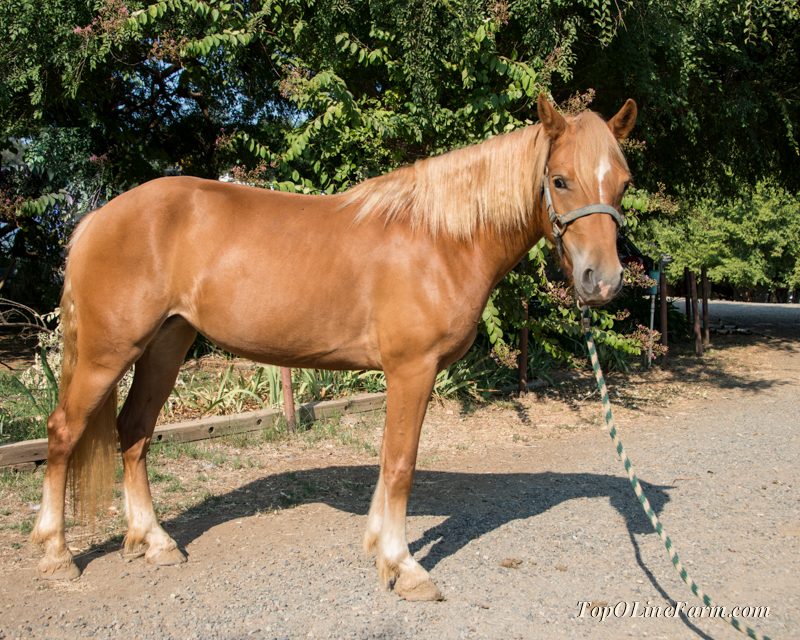 Top it all off with her natural looks: a sculpted head that is delicate and very feminine and her DARK red color with a perfect white mane and tail. Now....add in that she is the daughter of Silver Classified ALL AMERICAN AFGHAN NTF. Angel's dam is also 15 hands and the daughter of MIDAS TOUCH with her grand-dam's sire is AFGHAN II (World Champion). 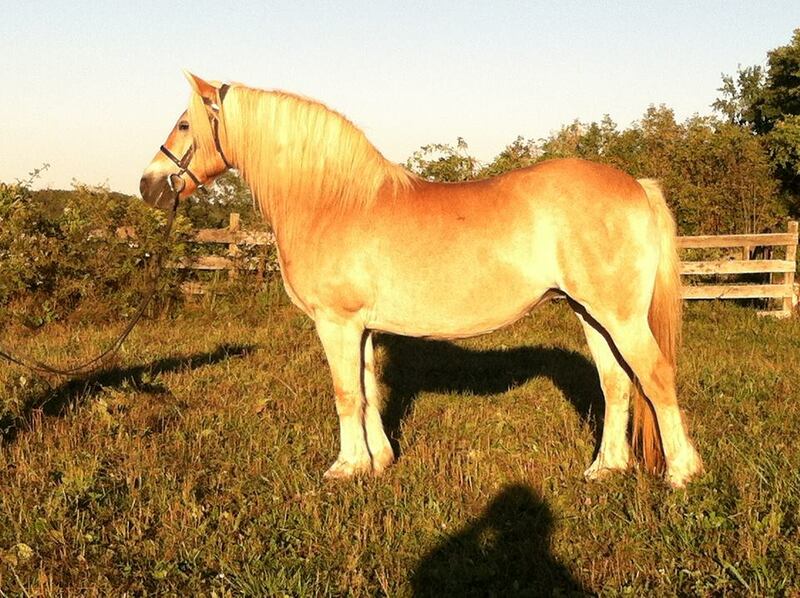 Her grand-dam Arnika NTF is the full sister to World Champion Haflinger stallion AMADEUS. So if you are looking for the most beautiful color...., beautiful conformation...., world champion bloodlines and smooth athletic movement HERE SHE IS! 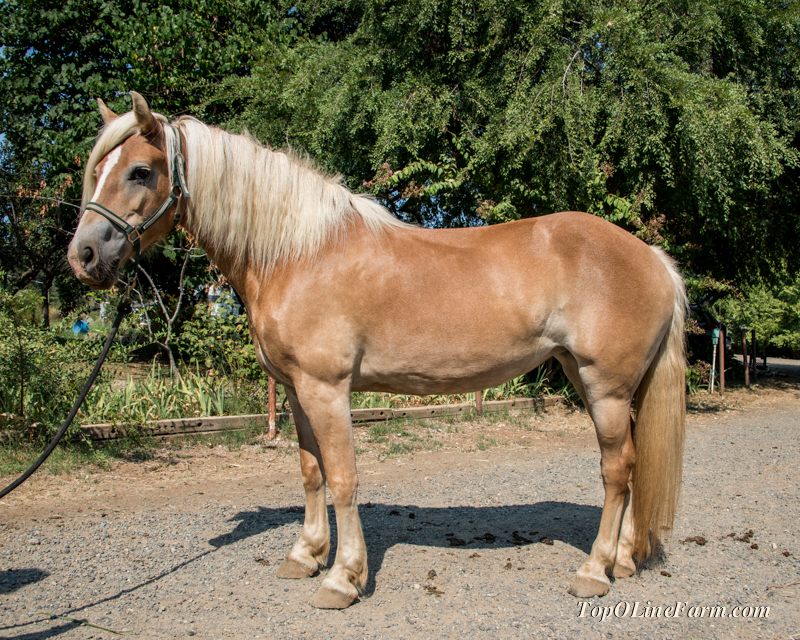 Solid built mare with a nice walk, trot, canter, whoa. Drives like a dream. Swims! trail rides, arena rides. 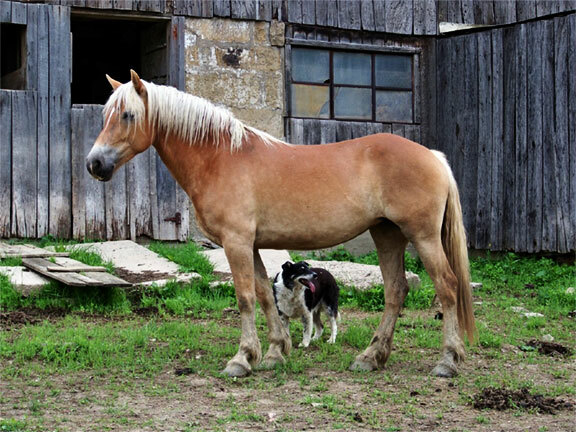 has a nice SLOW walk and trot when asked but will also move out without fuss. EXTREMELY wonderful mare. Dam of Sophia and Shanelle. She is a good mother, easy to work with and is has a sweet temperament. trail. Drives well but with some snap. 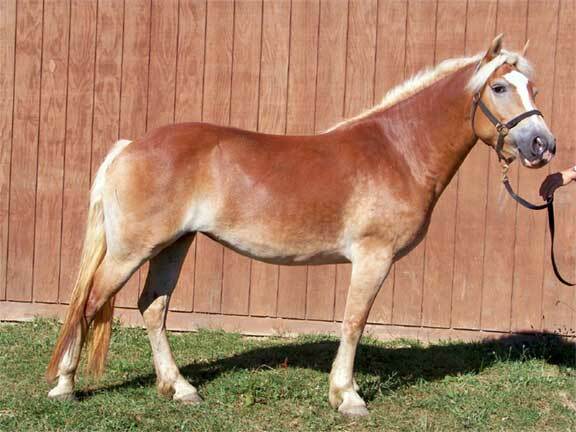 Has LONG strides and would be a nice show mare. lunging and groundwork. Started working on toys. She is hard to catch if allowed in a field, it takes treats. In a stall she is better behaved. Riata is a true athlete with both parents being well bred. 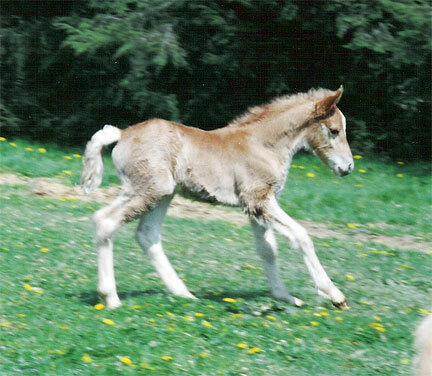 Dam is Silver Classified and has produced foals that reside all around the world. Dark red, long legs and gorgeous. 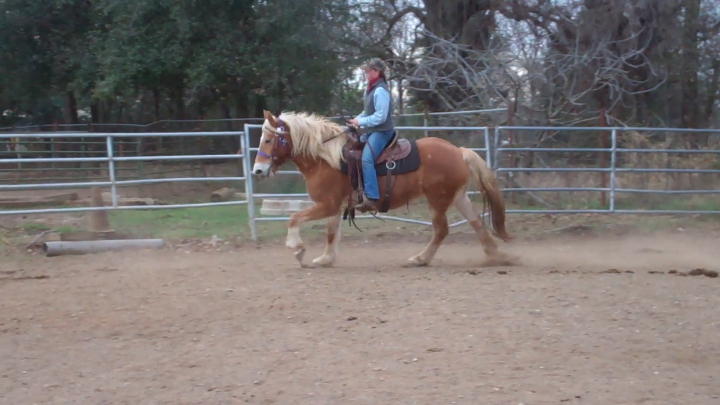 already started under saddle and doing great! Dark red, long legs and gorgeous. she stands 14 hands and is still growing. Haflingers grow until age 6. 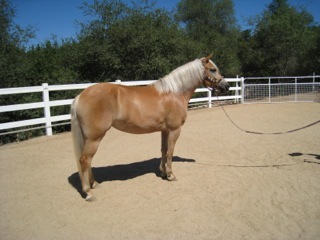 Her sire was born at our ranch. Her grandma was owned by us and then moved onto a lovely therapy center. Other grandsire is Silver classified and lives in Colorado. 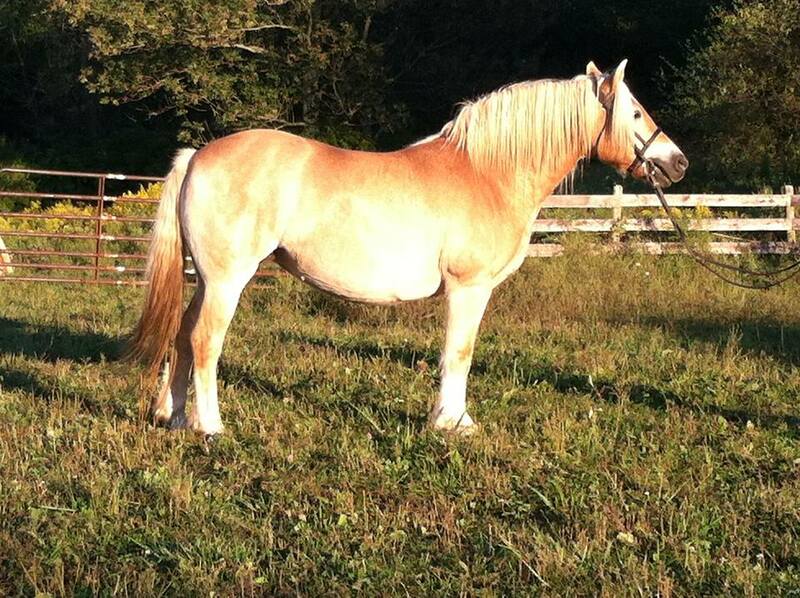 in foal with Macey. Macey will be started this spring.